UK Storage Company - Plymouth is one of the few in the area to boast all ground floor rooms. That means there are no lifts to queue for and no steps to negotiate. You don't need to have arthritis or dodgy knees to feel the benefit of that! It allows you to unload and load very close to your self storage unit, with half our available spaces having their doors opening on to, or within a matter of feet of the parking areas. Match that with unbeatable prices and you really don't have to go any further for your storing needs. Don't forget we also have a self storage facility in the centre of Plymouth. We know moving house can be an expensive time, it can seem like there is one outgoing after another. With that in mind we currently have an offer running where your get your first 12 weeks self storage at half price! Only while we have them available! What you do with the money you save is up to you, some people spend it on a man with van to help with the work or others spend it on a slap up dinner when everything's finished. We know which one we'd go for. Fill out the quote form to the left and it will give you an instant quote, including details of the current offer. We would of course be more than happy to speak to you on the phone should you wish to speak to a real live person. We believe we offer affordable self storage in Plymouth and we aim to be the best priced self storage facility in the area. In fact we will beat any like for like price by 10% within a 5 mile radius. As we know moving in can be a stressful time and things do not always run to schedule we give you free 24 hour access for the first 4 weeks. This means you can come and go through our key code access system anytime of day and night even when we are closed. It also allows you to move in anytime, including bank holidays as we can arrange your paperwork and payment ahead of time - you don't even need to come to site prior to moving your goods in. Now if we could only get it so your items would teleport themselves instead of needing a van it really would be the easiest process in the world. Why don't other companies offer this service? Well we had to invest heavily in the gate, security and access software in order to make this happen. In fact we used to charge for this service from the day you moved in but we found out that a lot of people just needed it for the first week or two. So now we offer the extended hours for free for the first four weeks. After that you can still come and go for free during our normal access hours seven days a week or you can pay a small fee to have the 24/7 entry ongoing. We don't require a deposit when you start using us, we just ask for you to pay your rent in advance, four weeks at a time. If you plan to stay for a shorter period than this we then then refund any rent that you haven't used when you come to move out. We know how tight cash flow can be, especially if you're moving house so we really don't see a need for a deposit when you move in to self storage. Plymouth has a lot more exciting ways to spend your money than on deposits. If you are looking for short or long term storage in Plymouth then we have the solution. Store your personal belongings or for your business and the minimum commitment is only 14 days. There is not a maximum period of time you can store, so if you require a temporary arrangement or if you're looking at the long term, it is totally up to you. Plus you only pay for the days you use, any rent that you have paid for that you haven't used is refunded to you when you move out. We only require 14 days notice when you come to move out. This is usually plenty of time as most people are moving house (either in or out of a house) and whether you're giving notice to a landlord or working with solictiors 14 days is plenty - let's face it, 4 weeks is moving fast when it comes to legal contracts! 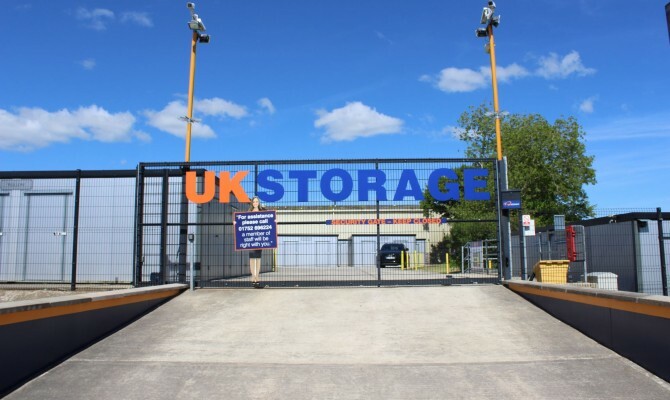 Our self storage in Plymouth, Devon is very secure with a two metre high perimeter fence surrounding the facility. The 24 hour digital CCTV is recorded and remotely monitored. The main entry gate has a key pad entry system which allows us to keep the gates closed at all times. The software then tracks who comes and goes through the gate which is of course well covered by multiple cameras surrounding the gate. You couldn't find more secure storage in Plymouth. We specially import our locks from the USA (that's where our industry came from after all) so that you have the most secure, tamper proof locks. These unpickable locks are yours to keep when you leave. As you are the only one holding the keys you are safe in the knowledge that only you have access to your goods. The locks come with more than one key so friends and family can have access - only if you want them to of course. You may also want to give a key to your removals firm either on move in or move out. Again that is up to you. We don't hold a key and we don't have a master key, so you really are the only people who can gain entry to your belongings. So when your friend offers you their leaking garage to store your items it might be worth asking them how safe your goods will be. The buildings themselves are insulated floor to ceiling with high levels of insulation making them better insulated that the majority of warehouses and even some homes. The doors themselves are even insulated allowing every area to be insulated and removing the possibility of 'cold spots'. So it really will be a home from home for the items you store at our Plymouth self storage site. Before you ask we can't put an en suite in so you can live in it! With the twenty four hour access it does mean you can move in to your room anytime you like. We have a few admin things we have to sort out but that can all be sorted over the phone and by email so should you want to move in on a Sunday or even at 3am then you can do. Just call us and we can tell you how. We are the only Plymouth storage company offering this service. We've had people move back from abroad using it and people on night shifts - there's nothing worse than using up holiday entitlement at work to moving house if you don't have to. Our 12 square feet and 30 sq ft spaces are very popular for student self storage in Plymouth. To give you a guide, an old red phone box is 9 square feet (3 foot by 3 foot) so the 12 square foot is slightly bigger and is our lowest cost option. It's ideal for stacking some boxes of books and bags of clothes in. Bigger than lockers, it mean you can even fit a flat screen in (our units are designed to store electrical items and soft furnishings). Often students storing this kind of quantity just use a taxi to get their goods to us, it's a lot more affordable than using a man with van or hiring a van for just a few items. The thirty square foot unit is more like the size of a small garden shed (8 foot by just under 4 foot) and you could fit some small amounts of furniture in there or boxes / luggage and a bicycle. If your items are flat-packed, collapsible Ikea style items then you can usually fit more in. Don't forget your Allen key! If you are working on a tight budget then you are welcome to share the room with your flat mates or friends at university so three of you could club together and get a thirty rather than having a twelve square foot each. This works out more cost effective and allows you to put more bulky items in there. 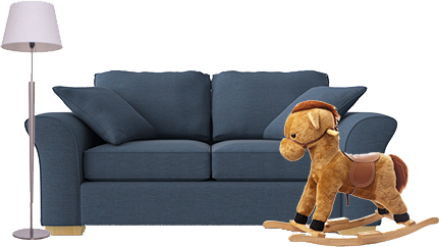 If you are thinking of putting items not in your bedroom, such as a sofa or any large furniture in to the room you will probably need to go for a 50 square foot space or above. You can store motorbikes at our locations we just ask that you don't store any petrol cans / containers in the units. Most bikes fit in to our thirty square foot rooms, it may be worth speaking to us about availability as we need to make sure that you have the right access to your unit - some may be a bit tight for motorbikes to get in. As most people storing motorcycles with us like to use them outside of normal office hours it's worth speaking to us about our extended access hours. Especially for Sundays when the office is closed but you can still have access with our twenty four hour access option. We are one of the few companies (if there are any other) offering bike storage in Plymouth with 24 hour access. Our rooms are designed to store soft furnishings and electrical items. The majority of our customers are residential people storing their house contents. We recommend furniture covers when transporting and storing your goods. It is important keep them dry when loading and unloading so you aren't taking any moisture in to your room. You will also need to drain your washing machine and defrost and drain any fridge or freezer you wish to store. So for furniture storage in Plymouth give us a call. We have a variety of self storage space in Plymouth with a small room being 12 square feet (3 foot by 4 foot) which is about the same size as a telephone box. Our larger rooms are about the size of a single garage, 120 square feet which is roughly 15 foot in length and 8 foot in width with the height being roughly 7 foot. You can of course mix and match and take more than one room if required. When thinking about size, picture your whole house or flat. Think about areas where you may have items you've forgotten such as garages, sheds, under stairs, closets, on top of cupboards, lofts etc. and remember items such as garden furniture. Use the size estimator in our quote form to get a better idea or please feel free to call us. 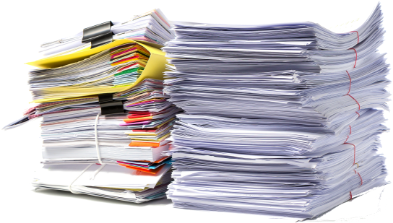 If you turn up to site and you think "Aargh, I've got too much stuff", then we can arrange for you to take another size or an extra room - subject to availability of course. Most, if not all facilities work in square feet but if you have been given a cubic feet measurement (or any other units) we are happy to convert that in to square feet for you. If you're trying to sort out storing from a distance it can seem a bit daunting but hopefully we can make it easy for you. We are able to sort out your reservation and process your move in to store with us without you being present. This is especially helpful when you might have a removals firm bringing the items in to the facility when you're not around or available. We are pretty flexible on dates, you can reserve your space eight weeks in advance without needing to provide an exact day when you will start using it. When sending cargo across the seas, for example, it can be particularly hard to have an exact date, we understand that. This is something we have dealt with many times and the reservation process works really well, knowing you have your room ready gives you peace of mind allowing you to concentrate on other things apart from self storage! Plymouth awaits, contact us today. We are happy to be contacted by email (just fill out the quote form and we can come back to you) or we can ring you abroad, whichever you prefer. We've got a few grey hairs in our office, enough to make us feel old anyway. We've been through the whole removal / moving house process a few times and we have certainly dealt with a lot of people who have had the 'joys' of moving. We thought we'd pass on a few golden nuggets from our experience. 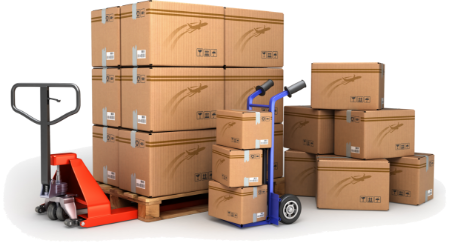 When packing boxes, pack them as full as possible so they don't collapse when stacked. If they're then too heavy to lift then you've probably chosen a larger box than needed! Next label your boxes, writing on the label which room it is going in but also a decent description. "Kitchen / pots and pans" is a good label, "misc" is not! Use fragile tape to mark the delicate boxes - you don't need to wrap the whole box in it but you do need to see the tape from the sides and the top. A "This Way Up" type arrow also goes a long way. When you've packed all your cardboard boxes and are ready for the big day, don't put all your items in one room. It might be nice to have them out of the way but it can create a real bottle neck as you all try to get in that room to get the items out. At a self storage facility in Plymouth? Surely not? Well it's true, in our grounds there is the only known wild occurrence of the Plymouth Pear. In fact in our pictures above you can see them - no not Jason and Ryan, our employees posing as customers, although their acting could be described as wooden! We have a section of our grounds that are put to one side especially for the safe keeping of the pears and the shrubs that intermingle with them. Sadly while they are called pears they are more like little berries and not edible. The way they taken care of on our site has been overseen by Natural England as they are protected under the Wildlife and Countryside Act. UK Storage Company - Plymouth is based in Estover, just across from what used to be the city airport. Close to Derriford Hospital and Wrigley's roundabout we are really easy to find, just look out for our massive signs! If you're new to the area, please feel free to call us and we'll do our best to direct you to our site, we don't want you getting lost on your way to the storage. Plymouth can feel pretty big at times, we'll do our best to navigate you along the quickest route. Being in the north of the city we do tend to get people heading down from Yelverton and even as far as Tavistock. Heading down the A386 it doesn't take long to get to us and access is easy off Plymbridge Road. Our household storage gives you the option of an easy access place to store. Whether you live in the centre of the city or further afield in Devon contact us now for prices and offers. Or alternatively fill out the form in the top left hand corner and that will provide you with the cost of storage in Plymouth. Self storage doesn't have to be all done by yourself. We have a local removal company we recommend to help you move. Moving On Removals are a Plymouth based company with great reviews! Using luton vans and without big costs like a large warehouse they are able to offer competitive fixed prices on large removals as well as a 2 man & luton van service for just £40 per hour on all small local removals! I used the storage facilities when going through a separation. I found the storage very clean and very accessible. I could add or take things away when I needed and help was just a phone call away. I would recommend to any one for short or long periods and price very reasonable. Great customer service, everything is always so easy to do. Happy to add or remove storage as I need it with no fuss. 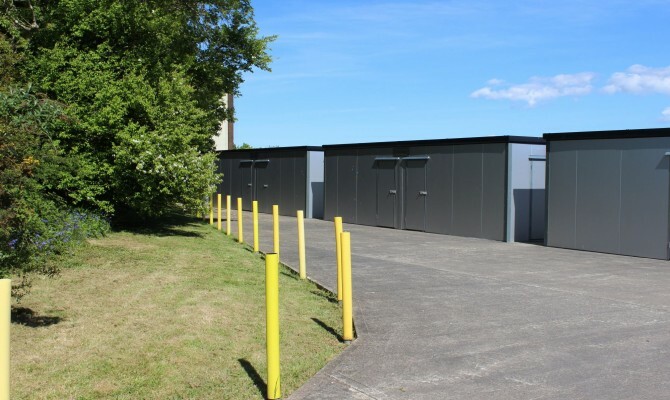 Storage unit are clean, secure and easy to access on a clean and tidy site. Very good indeed. 24 hour access for the first few weeks worked well as we moved stuff bit by bit. Similar for the last few weeks as we moved stuff out. Admin staff easy to deal with over the phone and knew answer quickly to everything we needed. Would use UK Storage again and recommend to others. I have to say I got excellent service from the UK storage company. Everything went smoothly & effortlessly. Got my code & keys for entrance, never had any problems. I would definitely use them again & I have referred my friends & family to them.